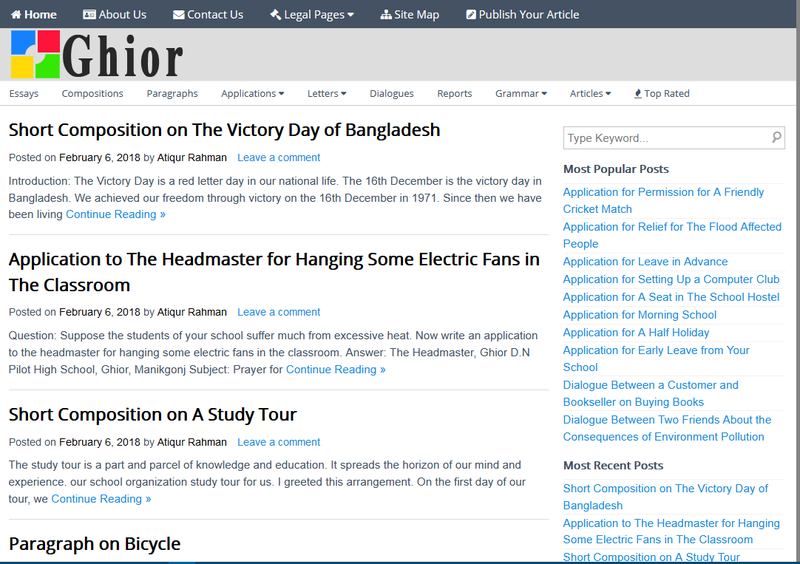 Ghior.com is the online-based free learning educational based blogging website. This company founder and starter Md. Atiqur Rahman (Atiq). He is the founder of Ghior.com and him has also others blogs such as mytechbrand.com and his planning for the future to make the help the students for writing and learning composition, essay story, and the paragraph on his blog. 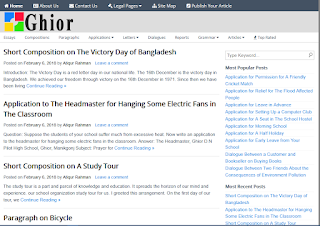 Generally, he leading his blog free users source and earning method is Google AdSense. Nowadays he does not show ads on his blog.